As member of the European Public Health Association (EUPHA) I receive a monthly newsletter with relevant Public Health news from the region. I have previously criticized EUPHA for their lack of focus on public health communication (see blog post “European Public Health Association and the missing communication category”). I maintain my critic, but must also congratulate them when public health communication does sneak its way into for example their newsletter. Thus, in the January 2014 newsletter under Upcoming Courses and Conferences attention is made to the Conference on Communication, Medicine and Ethics (COMET), which will take place in Lugano, Switzerland 26-28 June 2014. The conference aims to bring together communication researchers from different disciplinary backgrounds, ranging from healthcare specialities to the human and social sciences. The first Conference on Communication, Medicine and Ethics (COMET) was hosted by the Health Communication Research Centre at Cardiff University, UK in 2003 and was attended by more than 200 participants from 20 countries. Based on its success COMET has now established itself as an annual interdisciplinary, international event. COMET is described as using a problem-oriented approach, and places special emphasis on the dissemination of high quality research in interpersonal, mass communication, and practical ethics which is directly relevant to healthcare practitioners. The 2014 conference will focus especially on the dissemination of ongoing research in Doctor-Patient communication studies, health communication in the media, as well as practical ethics which engages directly with healthcare practitioners. Looking at the list of proposed topics and keynote speakers, it does seem like especially the doctor-patient communication will be given much attention, but I’m happy to note that themes like “Communicating Risk and Uncertainty”; ” Interprofessional Communication and Hospital Management Systems” and “Media and Health Communication” also figures on the list. Assessing myself unlikely to attend, I do hope that the conference will set up a hashtag for Twitter and encourage social media activity during the conference, so that a broad audience (including me) can be reached. The organisers of the conference accepted proposals for either panels or paper presentations (oral or poster) within the main themes up until 31st January 2014, so unfortunately the deadline has been passed, but I look forward to seeing the complete programme once it becomes available. I am really not a climate expert or anything close but I am a fan of the ScienceOnline non-conference format, so I thought I’d just promote a bit the ScienceOnline Climate which runs today and tomorrow (15-16 August 2013) in Washington DC, USA. ScienceOnline is about science communication using social media and other new media to communicate research and science understood in its broadest term. 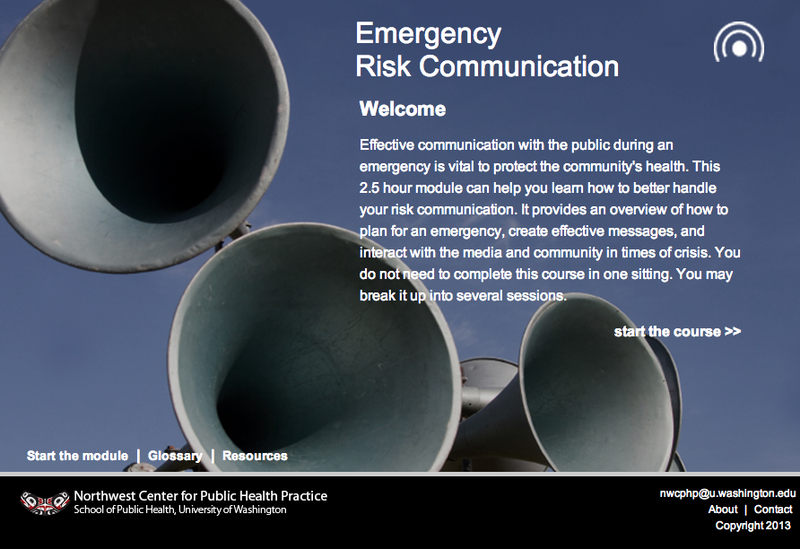 It’s mission is to cultivate the ways science is conducted, shared, and communicated online. It brings together a diverse group of researchers, science writers, artists, programmers, and educators who conduct or communicate science online. The goal is better science communication within the science community, with the public, and with policymakers. Some sessions will be live-streamed and there will be lots of tweeting too on the hashtag #scioclimate. Take a look at the schedule for the conference to see if anything is of interest to you. After having run successfully for a few years and in response to requests from people abroad to travel to Hungary to follow the course, Bertalan decided to develop an online version of the course – making use of all that social media offer and continue his quest to change the attitude of future doctors and their knowledge about online issues and ultimately revolutionize medical education at a global level. The course is organized in 16 different modules all followed by a test, which you have to pass in order to achieve the badge (I felt a bit like a girl scout getting labels to put on my uniform). Each module consists of a Prezi, which systematically takes you through all corners of the topic. Pictures, YouTube videos, take home messages etc. makes the courses dynamic and fun, but at times also a bit commercial and sometimes a tending towards being too unscientific, especially for a university course I miss more solid data. The length of each course varies between one and two hours. As with any other course, some modules work better than others, probably partly due to one’s interests and baseline knowledge level. I have taken the course over a long period of time (I think 6 months), so I can’t really recall all modules or which ones functioned better than others. Working myself with social media and public health I felt I had to complete the course and get the Ultimate Expert certification, but the modules can quite easily be taken on an individual basis according to one’s needs and interests. Actually, I think my recommendation would be to take the course on a topic by topic basis without aiming to go through all 16 modules unless you get totally hooked on the format. If one aims to take the full course I’d probably spread it over a few weeks or even months taking a module now and again. Going through too many Prezis in a day might make you a bit overwhelmed and the commercial side of the module gets a little too dominant. Besides, if you want to really learning something, you need not just take each module but afterwards experience using Twitter, trying out the possibilities of Wikipedia, engage in medical communities etc. In other words do it yourself. Although the course is meant also to target public health students it is my impression that the primary audience is medical students and doctors. This doesn’t make the course irrelevant to public health students/professionals or other non-medical-but-health-related professionals, but it just means that you do not always feel the content that relevant to you. There is a lot of focus on doctors-patients relationships and apps relevant for medical doctors etc. Relevant stuff but mostly to doctors. Especially to new-comers to social media (for other than private purposes) the course provides a good baseline introduction to how Twitter works; what the idea behind Wikipedia is and how you can use it; and how social media opens up for entering new communities and crowd-source at a much larger scale. Social media as a tool for communications, finding resources etc. also makes some of the modules relevant to researchers in general. As mentioned, each module is followed by a test containing 25 multiple choice questions, of which you have to answer at least 23 correctly to pass. For each questions you have 30 seconds to respond. The questions relate very closely to the Prezi and I can strongly recommended taking good notes. The test is really meant to test that you watched the whole Prezi and is not so much a test of what you actually learned. Questions like “What year was Google launched?” and “Who is the founder of the search engine Duckduckgo?” really requires good note-taking. Many questions are framed negatively, e.g. “‘Which is not a suggestion to avoid violating HIPAA?” which requires a lot of (unnecessary?) sentence analysis and can stress you out a bit, resulting in answering incorrectly to questions you actually do know the answers to. To my taste the tests are a bit too useless and doesn’t really add anything to your own learning. But I guess the objective has been to test that you paid attention throughout the Prezi and not that you actually learned anything (which is assumed you did if you know the Prezi by hard) or can apply what you learned. The tests (and Prezis) could use a good editing by an English native speaker, as it in many places is clear that it was developed by a non-native-English-speaker. For one module its okay, but if you take too many in a row you get a bit annoyed. In the spirit of social media the course is of course interactive and you are encouraged to comment and give suggestions for improvements. The response rate to comments is impressive and you have a feeling that your comments are taken seriously. 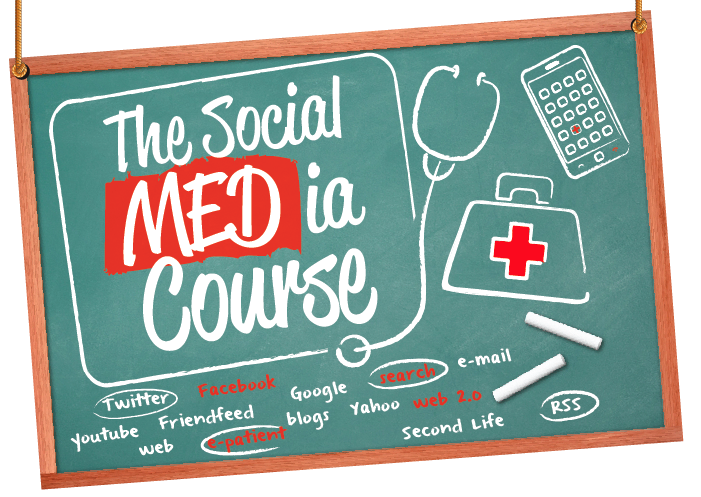 You can also share your achievements (the badges you earn after passing each test) on Facebook and other social media and thus help spread the word not only about the course but in a way also promote the use of social media in medicine. All in all the course is interesting, entertaining and an impressive amount of work has been put into developing it. I have learned a lot of good tips, but perhaps because my baseline knowledge of social media is above the average it wasn’t a big eye-opener to me. Being based on a university course, I would have expected a bit of a stronger academic basis of course. It heavily relies on YouTube videos, TEDtalks and lots of popular data. If I was to recommend anything for the future development of the course it would be to put a bit more ‘academic’ material in the modules. If not in the Prezis then perhaps as an additional recommended readings list. Also a test that feels more relevant to the student might be helpful and some tips on how to get started, or continue exploring the topic after each module might be a good idea.